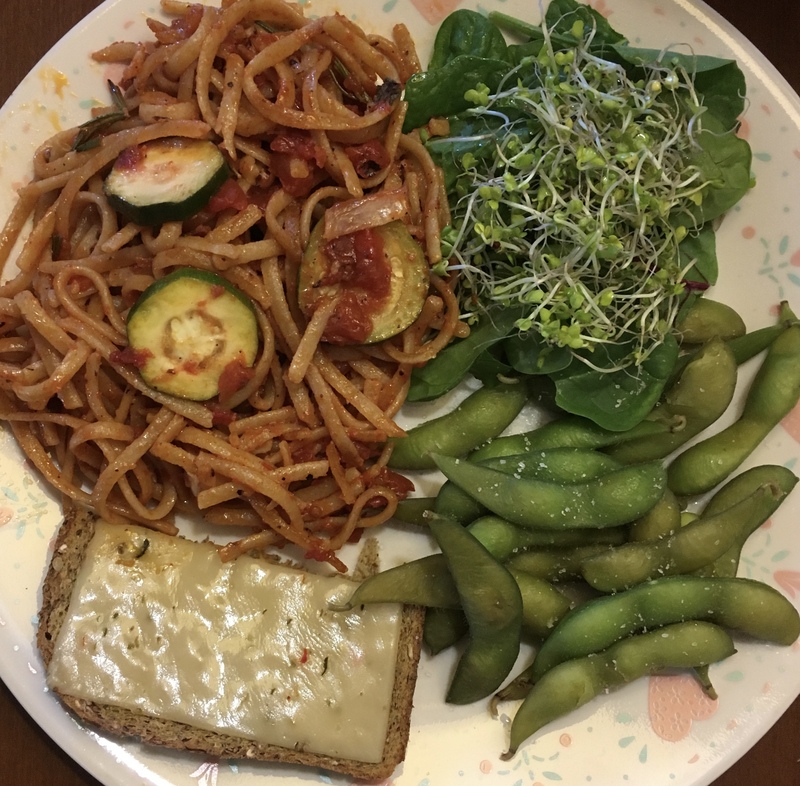 Organic whole wheat pasta, sauce: fire roasted organic tomatoes, fresh organic herbs: rosemary, thyme, sage, organic zucchini, organic red onion, organic fresh garlic, Himalayan sea salt. Organic spinach and kale, organic broccoli sprouts, Braggs. Organic edamame sprinkled with sea salt. Organic sprouted rye bread, follow your heart jalapeno cheese alternative.